A 'Bohemian Rhapsody' sequel could be in the works. 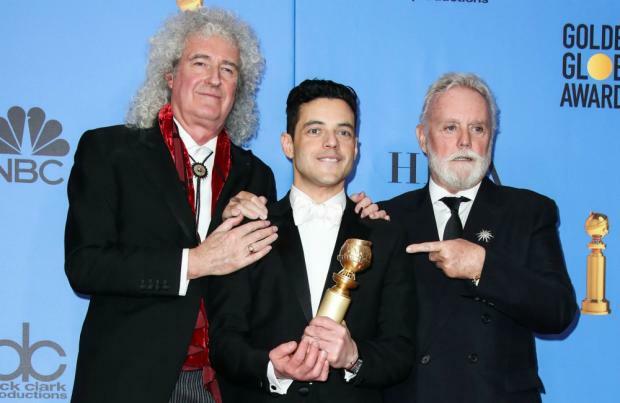 Rudi Dolezal – who worked with Queen on their music videos for 'These Are the Days of Our Lives', 'The Show Must Go On' and 'The Invisible Man' – has spilled that a follow-up to the biopic has been "heavily discussed" with the band's manager Jim Beach after the first movie bagged four Academy Awards. Speaking to the New York Post's Page Six column about Jim's ideas, he said: "I'm sure he plans a sequel that starts with Live Aid." 'Bohemian Rhapsody' ends with the band's legendary performance at 1985 benefit concert Live Aid with singer Freddie Mercury reconciling with his bandmates and revealing the news to them that he has contracted HIV. At this year's Oscars, Rami Malek was named Best Actor for his portrayal of frontman Freddie – who died at the age of 45 in 1991 from AIDS-related pneumonia – whilst the movie also received golden statuettes for Best Film Editing, Best Sound Editing and Best Sound Mixing. Meanwhile, Queen + Adam Lambert are set to star in a new documentary. back in 2011 filling in for Freddie on vocals and they have continued to tour together to critical acclaim, selling out concerts all over the globe. Adam's story with the 'Radio Ga Ga' hitmakers will be told in new two-hour documentary entitled 'The Show Must Go On'. Previously taking to Twitter to share the news, Adam posted:"So excited about our documentary "The Show Must Go On – The Queen + Adam Lambert Story" airing on @ABCNetwork on April 29th!! @QueenWillRock (sic)"